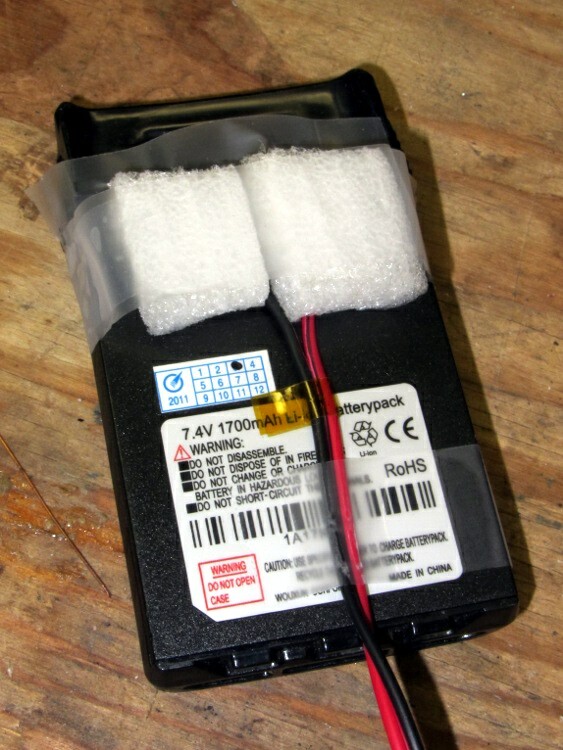 After I get the next GPS+voice interface running on the (yet-to-be-bought) Wouxun KG-UV3D radio, a pair of reasonably new 1A17KG-3 7.4 V 1.7 A·h lithium battery packs will be floating around with nothing to do; the GPS interface connects an external battery to the radio, so there’s no need for the OEM battery. 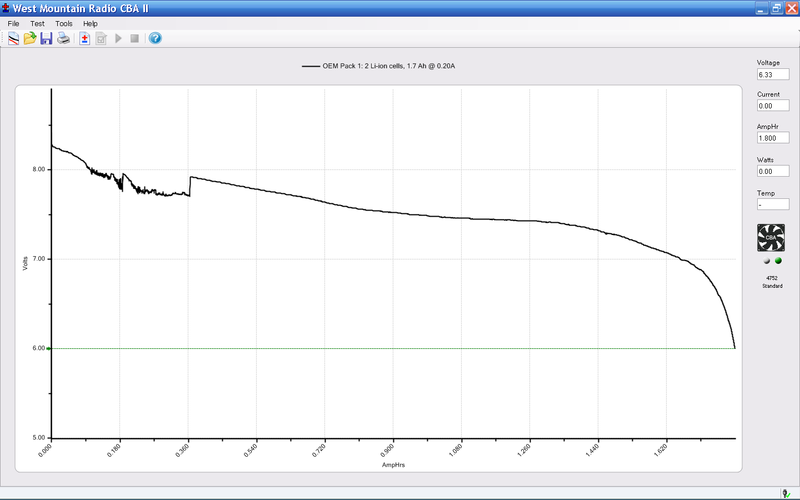 In round numbers, the pack delivers 1.6 A·h down to 7.0 V and then falls off very rapidly to the 6.0 V that ended the test. A string of three red / amber LEDs adds up to 3×1.9 = 5.7 V. A dumb DC blinky light running from 7.4 V has 77% efficiency, which isn’t all that bad, and 70% at the start. A current-regulating switcher might give 85% to 90% at the cost of considerable circuit complexity and wouldn’t be feasible for four independent blinky channels. 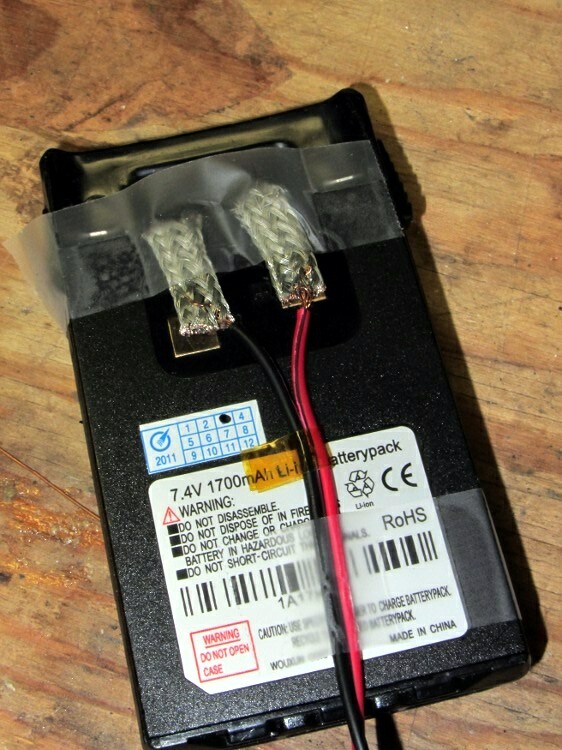 The starting voltage, fresh from the charger, is just shy of 8.5 V, which is why I figured I could get away with 9 V from the external pack through the GPS interface. So far, so good. 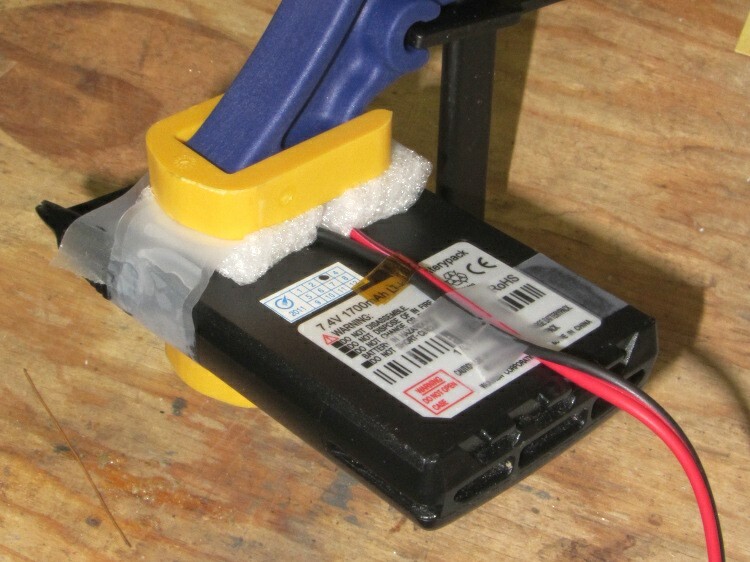 Obviously, if those packs are to be useful, I must conjure up a better battery holder. Having already designed a battery-shaped case for the GPS interface, it should be easy enough to build a radio-shaped mount for the pack.